THE DIRTY ARMY: Nik, I really don’t care what people say about me for posting this, but I’m not the only one who had too experience this. Yes, it’s horrible once again I’m calling this girl Maggie Driscoll out, but she literally will cost you everything. She will get close and commit to everything but will need “space” (when she wants to sleep around with other guys). She will make you out to be “crazy,” but only because she gets caught. She will cost you everything. Be forewarned. Nic she made a guy leave his wife and kids. She sleeps with married men, than leaves once she gets what she wants. Like a black widow. I know her BF now and he has a crazy ex wife trying to do anything to slander their relationship. Just do what’s right. -Nic can you please remove this post. It was posted by her BFs crazy ex wife. I work with Maggie and she is better than this. Nothing in that post qualifies her to be posted on The Dirty. What is op? 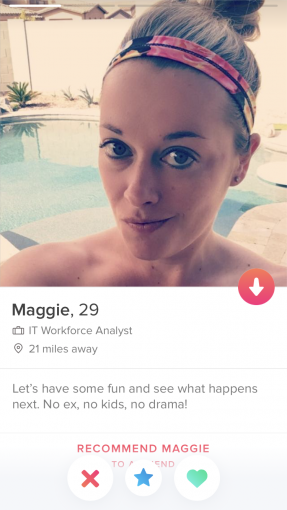 And are these posts about maggie? Yes she sleeps with married men but her BFs crazy Ex posted this and it’s wrong. Please remove.